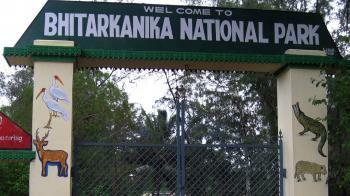 In the District of Krndrapara, Odisha in the eastern India there is national park called Bhitarkanika National Park. Bhitarkanika formed by two words ‘Bhitar' meaning interior and 'Kanika' meaning that which is extraordinarily beautiful. In the 1998 this Park has been designed as National Park. 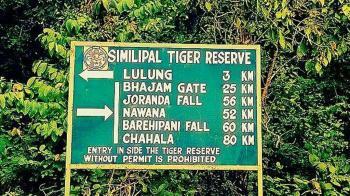 It covers 672 km2 and core area of 145 km of the Bhitarkanika Wild Sanctuary. The national park and wildlife sanctuary is flood by a number of rivers. These rivers are Brahmani, Baitarni, Dhamra, Pathsala and others. In 1975 core area of the Bhitarkanika Wildlife Sanctuary was created. This National Park is home to Saltwater Crocodile, White Crocodile, Indian Python, King Cobra and other species of Flora and Fauna. Bhitarkanika is a location of rich, green lush mangroves, meandering water courses in the North-Eastern corner of Kendrapara. The area is intersected by a network of creeks with Bay of Bengal. Jagannath Temple is one of the most renowned as well as the biggest temples of Orissa, India. 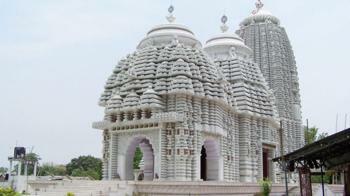 It is located 60 km from Bhubaneshwar, on the coast of the Bay Of Bengal. The name Jagannath literally means the Lord of the Universe. This is one of the CHAR DHAMS of Hindus, besides Rameshwar, Dwarka & Badrinath. The Jagannath Temple of Puri is one of the most popular temples of the place. This temple is one of the tallest temples that have been established in the country of India. Because it is Situated in the heart of the holy city, thats why the temple is visited by devotees from farthest corners of India as well as the world. The main deity of the temple is Lord Vishnu as Jagannath along with Brother Balbhadra & Sister Subhadra. The main festival is Rath Yatra which is on Ashadhi Ekadashi as per Hindu calendar which falls in the month of July/August. It is basically a chariot festival, where idols of Lord Jagannath, Lord Balabhadra and Goddess Subhadra, the main deities of Srimandir, are taken to the Gundicha temple in bejeweled chariots and are brought back to the mandir in the same way. The temple of Lord Jagannath is known to everyone and has an aesthetic feel when you reach here.The Prasad served here is freshly made and is very tasty.